The world’s tropical rain forests are the last havens for some of our rarest mammals and birds. They are also home to thousands of plant species with more being discovered every year. The rain forests are also home to indigenous people, such as the descendants of Maya and Aztec cultures that prevailed in the land for centuries. Instruction in crafts, ecotourism and marketing is one way to help local people earn a living from the land while protecting it as wildlife habitat and for future generations. The key to preserving these precious lands is in finding ways for residents to earn income while living in harmony with the forest. 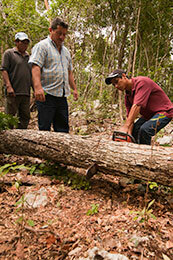 Thanks to Rain Forest Rescue donors, we can report on the successes of this approach in Central America’s Maya Forest. 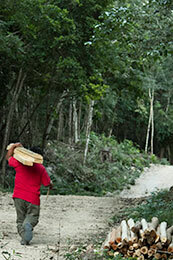 The Maya Forest stretches across Belize, northern Guatemala and much of Mexico’s Yucatan Peninsula. This 13.3 million-acre tropical forest is as biologically rich as any place on earth. Jaguars, scarlet macaws, harpy eagles and howler monkeys thrive in this habitat and thousands of our summer song birds find respite there in the winter. Much of this land is community-owned by the people that live there. 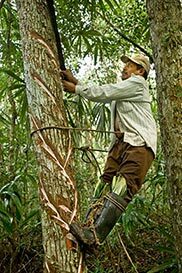 In recent times, income became based on over-extracting the forest’s most valuable trees such as mahogany and Spanish cedar trees. This unmanaged logging - usually conducted by outsiders - as well as the opening of land to farming and grazing, was destructive to the ecological systems of which wild creatures are a voiceless component. 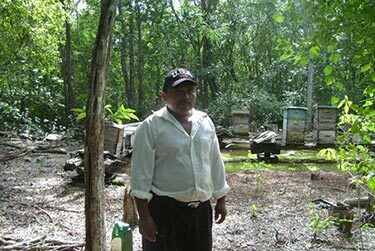 With help from donations to Rain Forest Rescue, The Nature Conservancy and local conservation partners are now making it possible for residents to earn income from the forest without destroying it in the process. Technical training in forestry, low-impact logging methods, and small-scale milling equipment is being provided to the residents of Bethania and Veinte de Noviembre. Now, instead of middle men taking the best and leaving the worst on the community’s 87,000 acres, trees are carefully selected for sustainable harvests and local people process the logs onsite. The work is labor intensive, but damage to the land is minimized, employment is provided, finished products are sold at higher prices, and larger amounts of money remain in the local economy. Through selective logging and manufacturing boards and other products on site, composition of the local forests are actually being improved and sustainable income is being provided to the local residents. Only small openings in the forest are needed to provide for beehives. In turn, pollination of native plants and local crops is enhanced and honey is exported to Europe. There are now thousands of beekeepers in the region, all with an interest in preserving the integrity of the botanical diversity upon which their livelihoods depend. 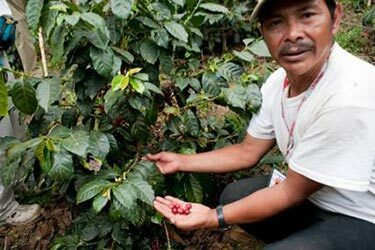 Shade-grown coffee in the highlands of Guatemala is a sustainable option for local farmers. As opposed to large-scale clearcutting and conversion to monoculture coffee plantations, this method retains much of the forest canopy. Habitat for birds is preserved and rich, delicious coffee can be sold at premium prices to environmentally-conscious buyers. 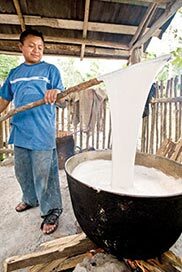 Elias Cahuich, a chiclero, taps a sapodilla tree for its white, gummy latex called chicle. The collected sap is then boiled down in large vats and formed into solid blocks. These are sold to gum manufacturers, bringing income to the local economy. 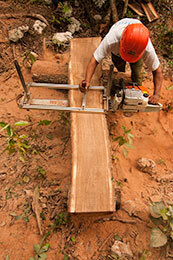 The chicle enterprise gives local people one more reason to value and protect their forest environment. 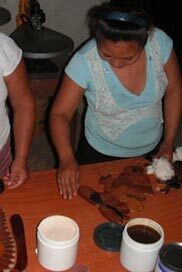 Women from Maya Forest communities participate in a handicraft training course organized by the The Nature Conservancy and Proselva Tropical de Quintana Roo S.C. with support from Rain Forest Rescue donations. 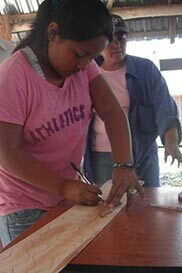 Instruction includes design and production steps, safety procedures for using carpentry equipment, marketing, and the importance of preserving the rain forest for wood supplies and ecotourism. 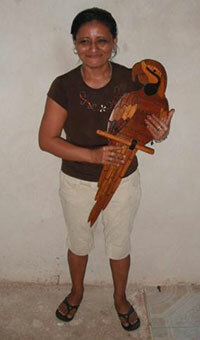 Likenesses of local birdlife and cultural characters are created for sale and serve to boost family income and the rural economy.